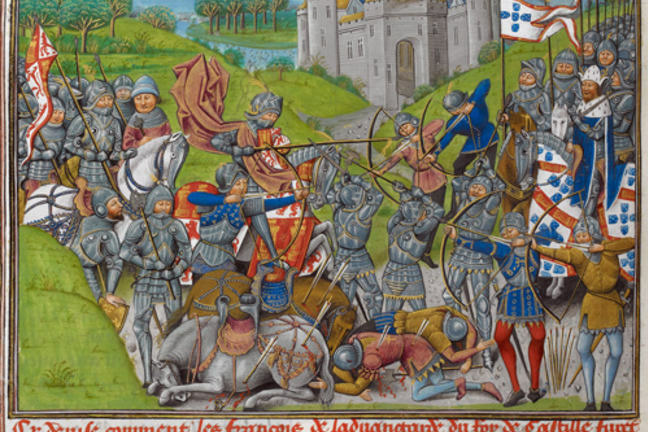 In this article, Anne discusses the strengths and weaknesses of the French army at Agincourt. As a leading French scholar of military matters in this period Bertrand Schnerb, professor at the University of Lille, has observed, ‘The French army that fought at Agincourt has been much less well studied by scholars than the English army …this is probably due to a lack of sources and to the fact that a defeated army is less attractive than a victorious one’ (Schnerb, 2015). The popular view, at least amongst popular writers in England, is that the French army was exceptionally large, incompetent and leaderless. There is some truth in the last description. The English benefited considerably from the presence of Henry V in person. By contrast neither King Charles VI, nor his eldest son the Dauphin, were present: a decision was taken at Rouen on 20 October that neither should be involved in any battle. This reminds us not simply of Charles’s mental problems but also of French fear that the English might win and capture the king or his son, as they had captured John II at Poitiers in 1356. The French did not underestimate English military prowess in the early stages of the campaign. Henry had invaded with a large army and they had not been able to raise an army large enough and quickly enough to challenge him at Harfleur. As time went on, and they had him on the run, then they made the decision to intercept him and bring him to battle. The French battle plan found by Christopher Phillpotts in the British Library in 1984 was for an engagement somewhere along the Somme. 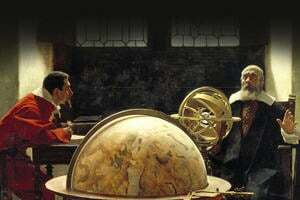 It was drawn up by Marshal Boucicaut, Constable d’Albret, the duke of Alençon and Arthur, count of Richemont. However, by the time of the actual battle the dukes of Orléans and Bourbon had also joined the army. As the nephew of the king it was the twenty-one year old and inexperienced Orléans who was in command on the day. Chronicles suggest that the older commanders (implicitly Boucicaut and d’Albret) advised against giving battle, but the young hotheads ignored their advice. In many ways the French army was very similar to its English counterpart. It was largely made up of companies raised by individual lords, with their households as the core: we know that more than 25 of the chamberlains of the duke of Orléans were killed in the battle. It was none the less a royal army. In late August an order went out that all men should wear a white cross on a dark background: this paralleled the English order that all should wear the red cross of St George. Its men-at-arms were armoured and equipped in a very similar way to the English men-at-arms: it is a myth that they had heavier armour which weighed them down in the battle and contributed to their defeat. In neither country, however, was there a standing army save for troops held in garrison. Therefore troops had to be raised for the occasion. This put the French at a disadvantage as they could only operate in response mode to the English invasion. As in the English case, troops expected pay and therefore we can glean something of the French army from the financial records, which include musters taken to check that troops had turned out. The problem is that so much less survives than on the English side, as Schnerb noted. But we know that the French had raised a tax to support an army of 6,000 men-at-arms and 3,000 gens de trait (meaning crossbowmen and longbowmen). This reminds us that the French army, like the English, was funded out of taxation: one French chronicler, the Bourgeois of Paris (who, despite the name was a member of the clergy) commented that Charles had levied ‘the heaviest tax that had ever been seen in the whole age of man’. This is somewhat of an exaggeration but we can see the wisdom of hindsight here. As the chronicler added, the tax ‘did no good for the kingdom of France’. The French lost the battle. The army to be supported by the tax emphasises an important difference – indeed the key difference – between the French and English armies. Whilst Henry’s army had large numbers and proportions of archers compared with men-at-arms (four to one at outset, probably five to one at the battle), the reverse was the case for the French. This was nothing new. The French always had more men-at-arms than bowmen. 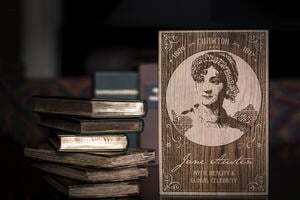 There was a large pool of nobility and gentry to draw on. 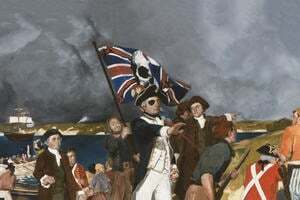 Such men, along with others ‘accustomed to frequent or serve in wars’ were exempt from taxation in return for providing military service to the crown. Even though they expected pay, they were summoned to royal service by the semonce des nobles which was proclaimed through the baillis and seneschals, the French equivalent of sheriffs in England. A summons was issued on 28 August in the wake of the English landing, ordering troops to Rouen to the presence of the Dauphin although the latter did not come to the city till 10 October. Over 230 companies of men can be found in surviving pay documents and musters by early October, totalling around 6,000 men. The summons dated 20 September, addressed to the bailli of Amiens, is given in full in the chronicle of Enguerrand de Monstrelet. The text also added a requirement for royal towns (known as the bonnes villes) to send cannons and other engines of war. Towns also had urban militias largely comprising crossbowmen: we know that some of these were present at Agincourt, although they seem to have been little used. We know that after the battle townsmen, such as those of St Omer, the nearest large town to the battlefield, went to the field to collect their cannons and equipment. Whilst in English armies most captains brought both men-at-arms and archers, in France retinues tended to have one type of troop only. As in England, however, companies ranged in size from less than ten men upwards. The duke of Berry had 1,000 men-at-arms and 500 gens de trait under his command on 30 September although the duke himself, aged 75, did not serve at the battle in person. 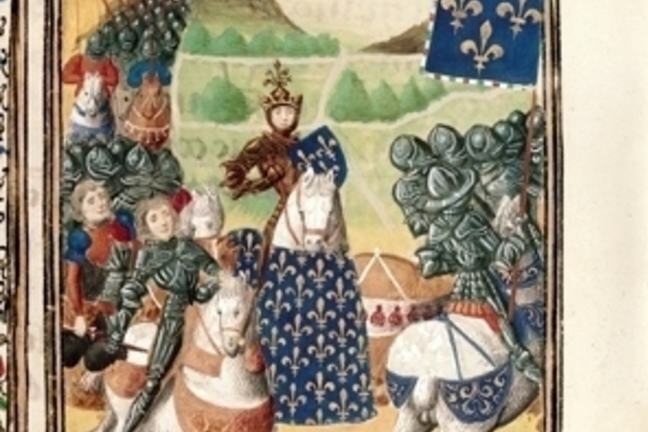 The duke of Orléans and the duke of Burgundy were both asked to provide 500 men-at-arms and 300 archers. Initially, given the recent state of war between these dukes, both were told not to come in person but simply to send troops. At the end of the day, however, there was a change of royal mind over the involvement of Orléans. The two brothers of the duke of Burgundy, the duke of Brabant and count of Nevers, were both killed at the battle, and there were several Burgundian captains present. Many troops came from Picardy, Artois and Upper Normandy. In some cases several members of the same family died together at the battle. It is impossible to know for certain how large the French army was at the battle but the figures given in chronicles are too high, as they are for all battles of the period. Where we have full financial records, as for an army raised by Charles VI in 1414, we see a strength of 14,500 but with the king not present in person we might expect the size to be lower. A plan made at Rouen on 20 October and reported by the chronicler Jean Juvenal des Ursins envisaged three French battles, with Boucicaut, the duke of Bourbon and Guichard Dauphin in the vanguard, the dukes of Orléans, Alençon and Brittany in the main battle along with the constable d’Albret, and a rearguard containing the duke of Bar, count of Vaudémont, the count of Charolais and the count of Nevers. The wings were to be commanded by Arthur de Richemont and Tanneguy du Chastel, the prévot of Paris, with the cavalry to break the archers under Clignet de Brabant and Jean, sire de Ligne, seneschal of Hainault. But we know that several of these commanders were not present (Brittany, Charolais, du Chastel). 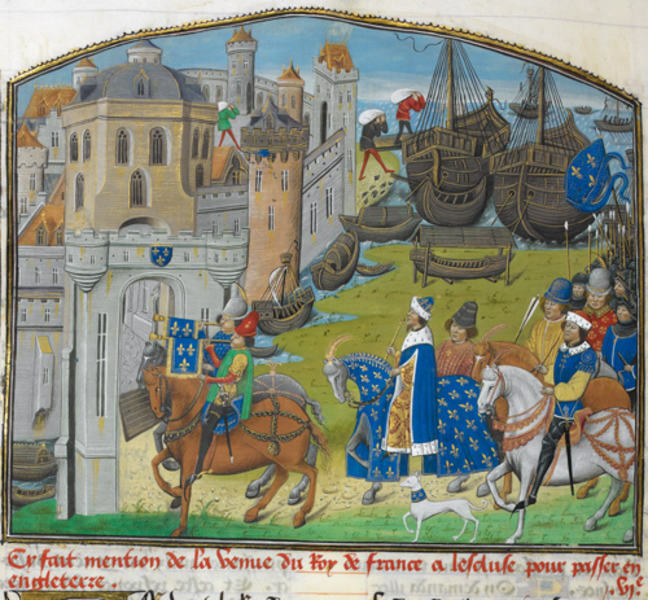 The French also needed to see to the defence of Paris against the possible threat of the duke of Burgundy. Some commanders, such as the duke of Brittany, did not arrive in time. The duke of Brabant arrived late in the day. It appears that the French delayed the battle until 25 October as they were still hoping for more troops to arrive. A total of 12,000 or so is therefore not unlikely, although some recent writers have put the figure slightly higher. We know that the French formed a very large vanguard of around 5,000 men. They hoped to overwhelm the smaller number of English men-at-arms but reckoned without the effect of the arrow storm which slowed down their advance. Not enough men were found to join the cavalry charge against the archers – a sign of weak command. And indeed, it appears that the divisions in the rear fled the field without engaging. Agincourt is therefore a reminder of the fact that unless all men engage, the actual size of an army does not matter. Curry, A. 1415 Agincourt: a new history (Stroud: The History Press, 2015). This link takes you to Amazon.co.uk.